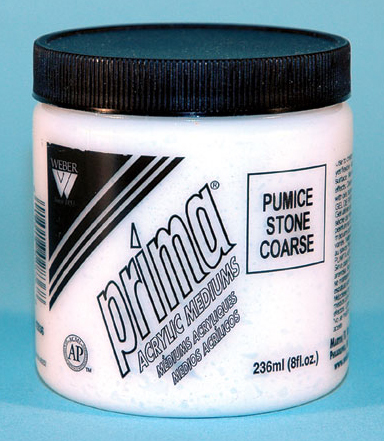 * Pumice Stone Coarse is used to create a gritty surface texture which dries hard yet flexible. * It can be applied under paint or mixed with paint, and can be mixed with other Prima Gel Mediums to create various effects. * Apply with a palette knife or painting tool of your choice to almost any primed surface.